It has finally arrived! The ultimate in skill customization, Lahn’s Enhanced Skills are available now! 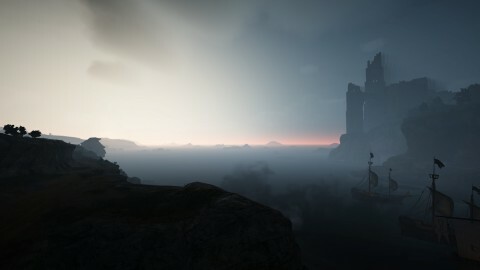 This is it, the Lahn is now fully unlocked and ready to decimate foes with an assortment of flashy high flying moves. ◈ Daily Special has been revamped! 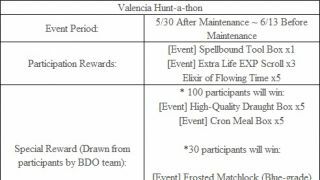 ◈ Valencia Hunt-a-thon reward distribution will be made with future announcement. We apologize for the delay. ◈ NPC Dating system has been added. • Build enough Amity with a designated NPC and if you succeed in winning him or her over, you can become a couple! Also, a special title will be given if you become a couple! • Express Goodwill (Give Gift) has been added to confess your affection for a designated NPC. 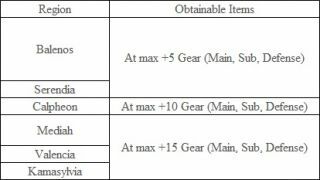 • You can increase Amity by giving gifts of all Marketplace-registrable items to the NPCs (items under 50 million silvers). 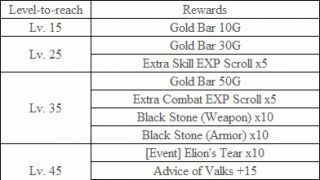 • The ‘favorite items’ of each NPC will be indicated, and when you hand over a favorite item, you can build up on even more Amity. • All items sent as gifts will require the consumption of 5 energy. • If Amity with the designated NPC becomes 1,000, “Confess” will become available. • The NPC who receives your confession will ask you to give him/her some time to think about it. • You will receive your answer via a mail in your in-game mailbox (B) in the following maintenance. • If the NPC who received your confession accepts, you will become a couple and earn a special in-game title. However, Amity will decrease by 10%. • The special title is called “___’s Lover,” and it will have a distinct color. • If the NPC who received your confession rejects, you earn nothing back and Amity will decrease by 5%. • NPC Dating can be enjoyed by all adventurers. 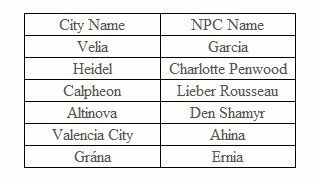 Whether you become a couple or not is calculated based on the ratio "How much Amity you have with that NPC"/"The total Amity of all the adventurers who confessed to that NPC the same week." • Once you become a couple, this relationship will only last a week. Also, you cannot confess to another NPC while you are in the relationship with a NPC, but other adventurers can continue to confess to the NPC you are in the relationship with. • If you continue to hold the highest Amity with the NPC you are in relationship with, you will stay a couple for 1 more week. 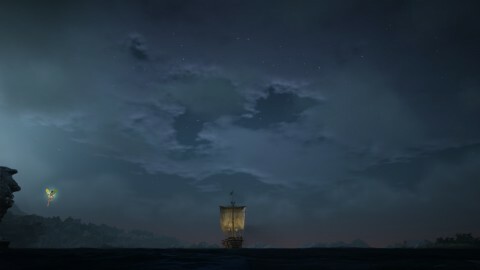 If your Amity with the NPC you are in relationship with is low and another adventurer with higher Amity confess to the NPC, your relationship will come to an end. • This means if the NPC decides to break up with you, you will receive a farewell in-game mail. -Click <Here	> for the introduction of NPC Dating! ◈ Fixed the issue where aim would be blinking upon facing the Wooden Fence installed by the enemy. ◈ It has been edited that annexes and installments cannot be built too close to the Command Post during Conquest Wars. ◈ Fixed the issues where it was indicated that Conquest War was still ongoing even when it had ended and PvP hits were not applied correctly after Conquest War. 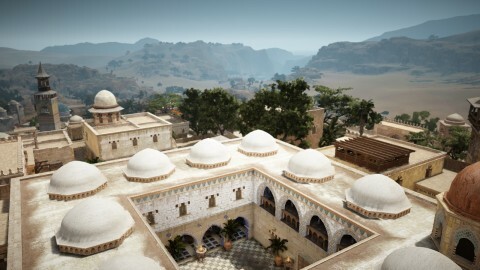 • Fort/Command Post at the start of the Node/Conquest War, it has been changed that the distance between the ally’s and the enemy’s Fort/Command Post must be greater than 100M for the auto-teleport to work. • However, this applies only to guild members in the area of the node war. • Guild members who are located in non-participating areas of Safe Zones will not be auto-teleported and in this case, ‘Assemble!’ function can be used to teleport. ◈ Packaged Old Moon Camping Anvil has been added. • Similar to the Sealed Old Moon Camping Anvil, you can use the item by unpacking it and obtaining an Old Moon Camping Anvil. • Instructions for making Packaged Old Moon Camping Anvil via processing and workshop have been added. • You can make this item through Processing > Manufacture or at the Old Moon Workshop at Tarif 2-2, 1F. -Navigation from within Shakatu's Villa should now follow a more natural path. ◈ Item drop rate has been increased by 50% when defeating monsters in Arsha server. 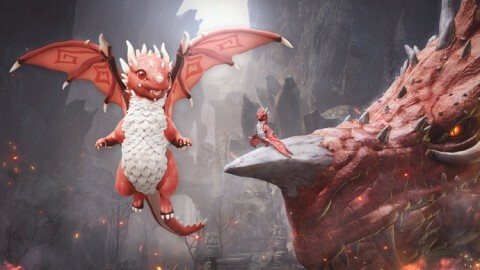 • As PvP rules have been made same as normal servers, such related text has been removed and text regarding item drop rate increase has been added. ◈ Fixed the issue where the reason of death from Muraka wrongfully came out as Quint in the system message. ◈ Fixed the issue where the down button on the gamepad triggered the Y key and not enter. 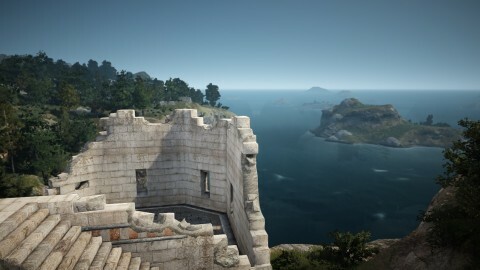 ◈ Fixed the graphical issue with the color of the water around the sewage of Calpheon Castle. 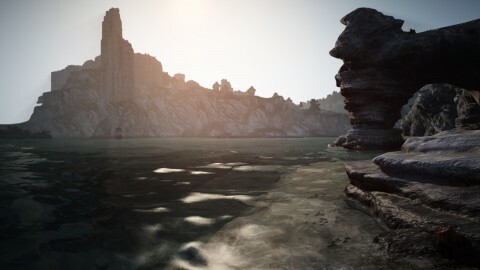 ◈ Topography of Weita Island has been changed where sand area has been added and some of the rocky areas has been lowered. 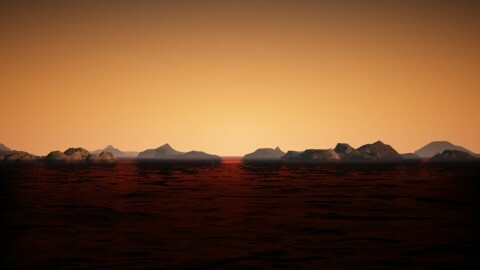 ◈ Node Manager Dane of Weita Island has been relocated as the topography of Weita Island has changed. ◈ Fixed the graphical issue where the wheel of the wagon in Grána seemed to be buried underground. ◈ Fixed the issue where you could walk through certain doors in Velia. 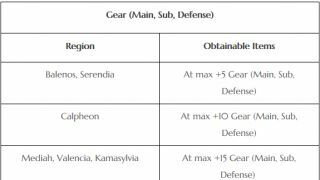 ◈ The NPC to exchange Hunter’s Seals for Black Stones and such in Tarif has been changed to Thyshelle Arms. 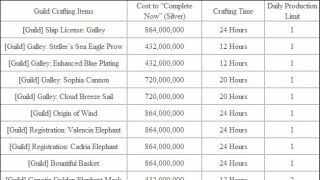 ◈ Mount purchase time restriction has been removed to make Horse Market more convenient. ◈ Fixed the issue where the guild emblem would show up on the mast when selecting Epheria Frigate from Sausan Garrison Wharf. ※ When the attacks of both the attacker and the attackee while moving a certain distance very quickly overlap, the damage of the attacker is applied to the attackee even when the attackee has Forward Guard up. On screen it may look like the attackee successfully defends the attack of the attacker’s as the attack appears to have been launched from the front of the attackee. However, the server may detect it as an attack that goes through the attackee and damage may be applied. 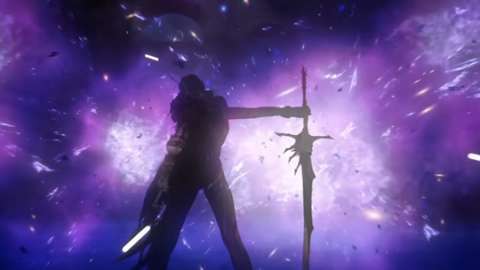 This may happen for skills like Maehwa’s Dragon Bite and Warrior’s Solar Flare. We are currently working to resolve the issue and will update you on the progress. 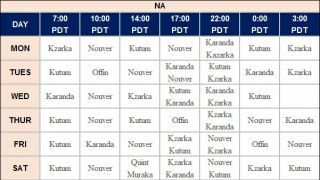 ◈ Number of target hits for the skill Balance Strike has been changed during PvE. ◈ Cooldown of all levels of the skill Grave Digging has been changed to 8 sec. 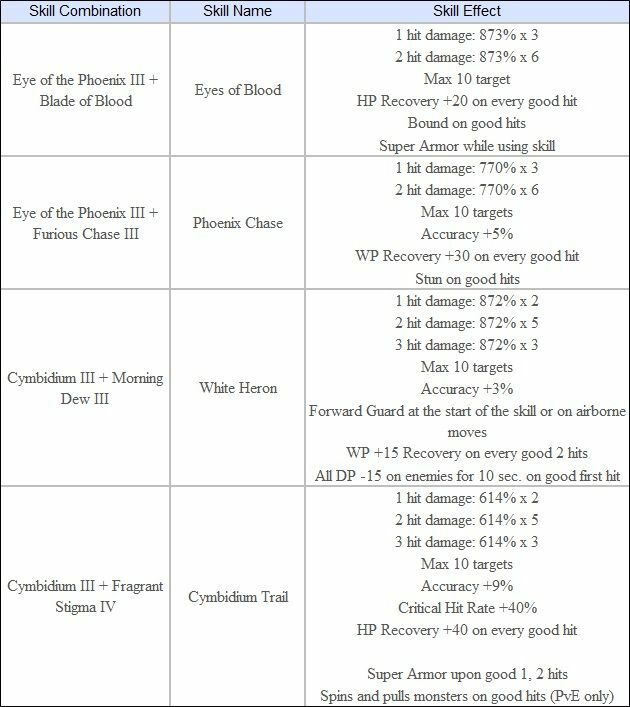 ◈ Cooldown of the skill Flow: Slashing the Dead has been changed to 6 sec. ◈ The skill Ground Smash can now also be used by pressing Shift + F key in Awakening combat stance. ◈ Fixed the issue where Bound effect would be applied to the target intermittently upon using the skill Spirit's Shackles. ※ This may occur in a very short moment due to the difference of packet speed between server and client when the grapple of the attacker is tried during the attackee’s motion switch. In reality the grapple fails and only the bound effect is applied and improvements were made to minimize this. ◈ Fixed the issue where the Ranger would run with the Longbow in hand when Auto-run (T) was used in Longbow combat mode. ◈ It has been edited that CC effect will only be applied on the first hit of the knee kicking motions of the skill Storming Beast. ◈ Transitioning to main weapon mode while using the skill Devastation will now bring out the motion of pulling out an axe. 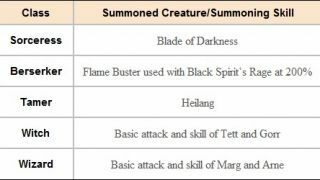 ◈ The skill Heilang: Howling has been improved. • The skill cooldown has been reduced from 2 mins. to 40 secs. • Using the skill would teleport the Heilang to its target now to launch the attack on the aimed target. • When using the skill without aiming a target, the Heilang will perform the attack on its spot. 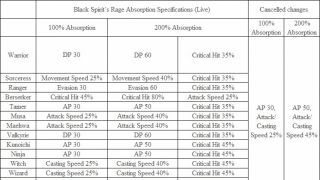 • Effect applied upon a good hit has been changed from Knockback effect to Stiffness effect. 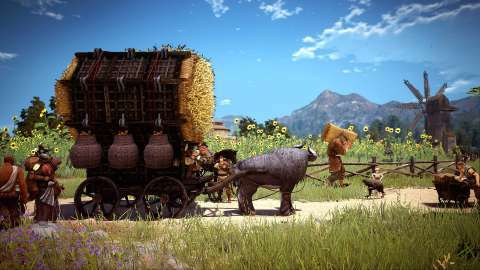 • The speed of the skill launched by Heilang has been made slightly faster. ◈ Super Armor effect has been added to the skill Absorb Heilang. ◈ You can now use the absorb effect on four allies instead of three when using Absorb Heilang V or VI. 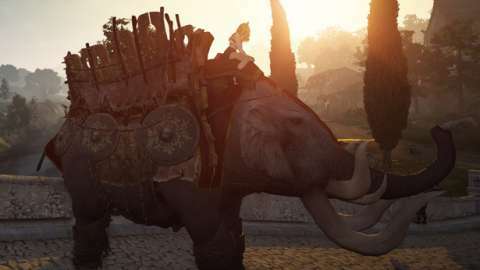 -If Heilang and the aimed target is more than 5m away, using the Command: Attack would command Heilang to run up to and explode near the target inflicting damage to the target and surroundings. (The speed to run up to the target has been increased x1.5). -Attack damage has been increased by x1.5 and Knockback will no longer be applied for Heilang that has performed Command: Attack. 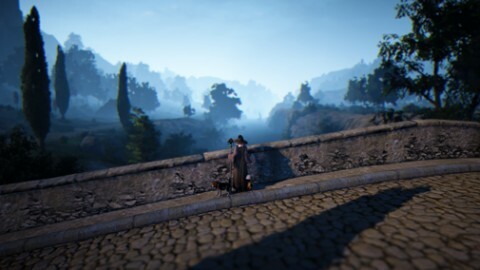 -Regardless of distance, Heilang will teleport to a spot next to the character. -After using Heilang: Berserk and the berserk mode ends after a minute, Heilang would not disappear anymore. 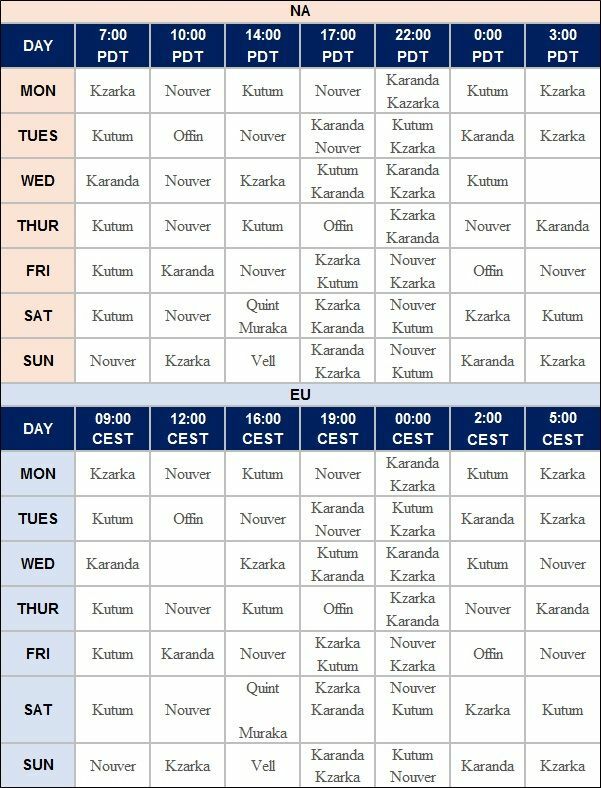 (Berserk mode will be released without a change in its motion). ◈ Target range to aim at the target for the Heilang has been increased by 25%. ◈ Attack range of the spin hit and the last hit of the skill Vermillion Bird attack has been expanded. ◈ Attack range of the White Tiger attack has been expanded. ◈ Damage of the first 2 hits of the skill Garuda has been increased. ◈ Attack range of the skill Flow: Soaring Strike has been increased. 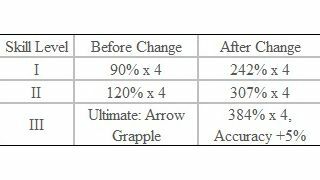 ◈ Damage Reduction effect has been added to the climbing motion of the skill Cloud Stomping. ◈ It is now possible to perform a hit motion using the F key during the skill Cloud Stomping. ◈ After performing the hit motion for the skill Cloud Stomping, holding the F key will now activate Moonlight Strike. • Beast Rampage, Allround Spinner, Legendary Beast Dance, Whiplash, Surging Tide, Lightning of Earth, Void Lightning. ◈ Attack range would face the front now for the skill Flow: Intimidation. 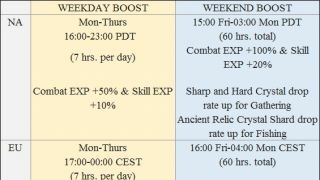 ◈ Stamina consumption for the skill Promptness has been decreased from 200 to 100. • Floating on good hits → Floating after successful LMB hit after Death Line Chase. 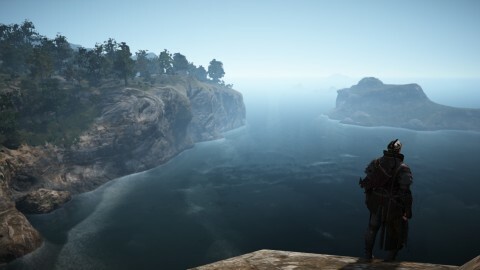 ◈ Fixed the graphical glitch that occurred when wearing Sicarios Armor and Le Vladian Underwear together. ◈ Lahn’s Enhanced Skills have been added. • The first Enhanced Skills will be available from Lv. 56 and the second Enhanced Skills will be available from Lv. 57. • Prerequisite skills must be learned before Enhanced Skills can be obtained. ◈ Fixed the issue where holding the Shift key while dashing forward after using the skill Stately Dignity would not consume Stamina even when the skill effect fades. ◈ It has been edited so that pressing ‘Z, X, C, V’ keys would not show Crescent Pendulum or Noble Sword after switching to combat mode from mounted mode. ◈ The skill Bloody Stride can no longer be used now if the character’s Weight Limit exceeds by 125%. ◈ Fixed the graphical glitch for specific costumes when drawing and withdrawing the Awakening weapon. ◈ The Awakening Weapon text in the description of the Orchid Fall outfit set has been removed. ◈ Fixed the awkward word arrangement for the tooltip of [Event] High-Quality Draught Box. ◈ Black Magic Crystal - Swiftness and Black Magic Crystal - Vigor have been removed from Item Drop information of the area Desert Naga Temple. ◈ You can now store High-Quality Wine in Storage. ◈ It has been edited that when guild boss Ancient Puturum fully charges itself before launching an attack, a red circle would appear to show its attack range. ◈ Hystria Power Tower that guild boss Ancient Puturum spawns will warn of its attack with a different effect and not the red circle now. ◈ Hystria Power Tower that guild boss Ancient Puturum spawns will no longer be visible to other guilds. 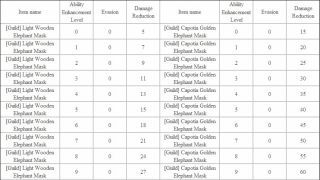 ◈ Fixed the issue where Valencia Female Elephant could apply Knockback 3 times in a row on an adventurer. ◈ A new recipe has been added to the knowledge entry for Old Moon Camping Anvil for making the anvil item. ◈ The number of buttons you can have in ESC > My Menu has been increased from 13 to 16. ◈ Server Change and Edit UI have been moved to the stationary section on the upper portion of the ESC menu. ◈ Setting Archive has been moved from the stationary section to the Content section of the ESC menu. ◈ Quick Hotkey has been moved from the stationary section to the Info/Function section of the ESC menu. ◈ The character name and class column under guild status on Guild (G) window have been made wider. ◈ Fixed the issue where the NPC tooltip under Nearby NPC window would be left open even after opening and closing the World Map (M). 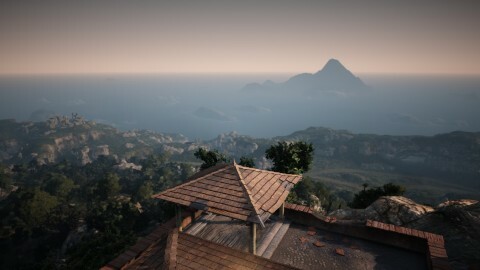 • NPC information under Find NPC window. ◈ The color of the button that shows up when you put the mouse over the Confirm button upon ending the game has been changed. ◈ From Open Special Item window, Open Only One and Open Continuously area selectable with the mouse has been widened. • It has been changed that moving the window would only be possible by dragging the name section of the Open Special Item window. ◈ Fixed the issue where 8 or more people could not use the the guild voice chat at the same time. ◈ Fixed the issue where Clan members could not be banned. ◈ Fixed the intermittent issue where you could not exit from your residence even when the door was open.